What happens when an aftermarket part is to blame for you sustaining a personal injury? These manufacturers accept responsibilities whenever they decide their product is safe for use by consumers. However, proving fault in cases like these is not always the simplest of tasks, as it can turn into a, he said, she said kind of arguments. 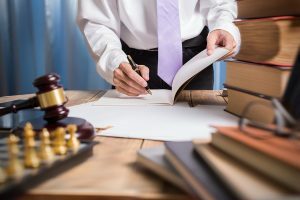 Small and large companies often have law firms on a retainer, and they are looking for any evidence, regardless of how insignificant you may think it is, to discredit your claim. 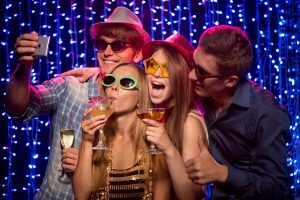 Hopefully, posts like these can help you to remain happy, healthy, and out of harm's way, but we are here to represent you, should the need arise. Our personalized service goes above and beyond, to ensure that you receive service that is exceptional, especially considering the dire circumstances, which are bringing you to our office. Allow us the opportunity to show you, why so many residents of Ft. Myers and the surrounding areas, have trusted us to get them the compensation that they rightfully deserve. Anyone that has ever experienced a flat tire knows that the side of the road is not a safe place to be hanging out. For that matter, just walking along the side of the highway can prove to be a dangerous task. We live in an age where we expect our products, vehicles, and everything else between to be reliable, safe, and convenient. Why shouldn't we? Breakthroughs in technology, science, and various other areas of society are supposed to make our lives better, but what happens when they have the opposite effect? Who knew that attempting to lose the spare tire around your waist could be so dangerous? There are a million things that can go wrong while exercising. Too much of this, or too little of that, and your world can turn upside down in a matter of seconds. Tweaking a muscle, becoming sore, and even nausea are common symptoms associated with a workout routine. Overexerting yourself can lead to more serious complications like a stroke or heart attack, but it is not often that we expect the equipment that we are using to be the culprit behind an injury, or at least not a malfunctioning workout tool. 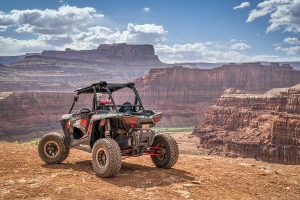 Florida offers some of the finest mud holes, sandy locations, and wooded areas to disappear, away from the traffic, to play around on your Recreational Off-Highway Vehicle (ROV). Mud holes, sandy dunes, and wooded locations are prime locations to relax, unwind, and have some fun. Of course, this act can be looked upon as a dangerous activity, in itself, and people purchase helmets, and various other safety equipment in an attempt to prevent injuries. However, the one thing they typically do not account for is a problem occurring with their ROV. It is notable to mention that they are human-made and eventually a part may become broken, due to the harsh conditions involved with their use. As parents, we tend to do everything in our power to keep our little angels safe. They are fragile like a package coming in the mail, but it is not as if we can wrap them in bubble wrap to prevent an injury from occurring. Watching their bright eyes and beautiful smile light up, upon giving them the perfect toy, is a priceless moment. However, it is important to remember that regardless of how cute, cuddly, and soft a toy is, it may still pose an injury risk to your child, which is exactly the case with this recall. Most people go out of their way to avoid injuries, as they are typically painful and can change their way of life. We tend to accept that minor bruises, scrapes, and even sprains are going to happen. However, many of us go through our entire lives without receiving more extensive and life-altering injuries, but when products and vehicles malfunction, that can change in the blink of an eye. A brake system failure can have a lasting impact, so spreading information like this is essential to our safety. 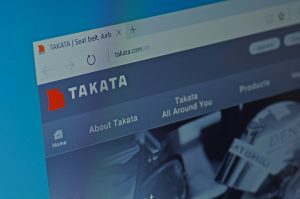 Unless you have been living under a rock, or have no access to electricity, the Internet, or social media, then you have likely heard of the massive automotive recalls surrounding Takata air bags. 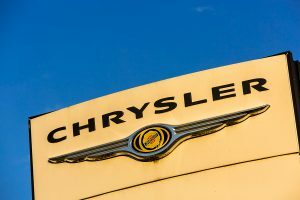 They have been the topic of conversation for a few years now, simply because of the dire consequences that their failure has to a person's livelihood. 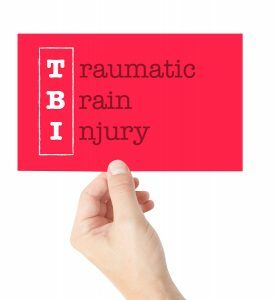 Serious personal injuries can occur, and in some cases, a loss of life can occur. Have you been injured in an automotive accident? If so, do you believe that a faulty part is to blame for your pain and suffering? Answering yes to these two questions may entitle you to just and fair compensation, and we would be more than happy to walk you through the process. 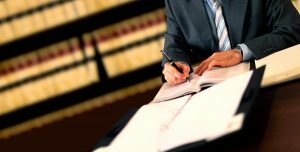 Our firm is prepared to go the full distance with the law firms representing companies of these products. However, our reputation precedes us, and these attorneys often settle out of court. Contact our office for a free case review to see what your options are. 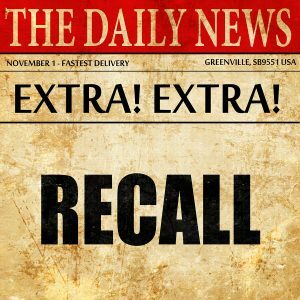 You may ask why we share information about recalls with you since we are a law firm, but the answer is actually, straightforward. We are just regular people like you, and we do not want to see anyone become hurt. However, our firm also believes that when clients deserve fair compensation for injuries, then they should be able to receive it, to help them pay for medical bills, and other necessities. Law firms for manufacturers go out of their way to prove that the consumer did something wrong, which caused the product to become faulty. Put a winning and proven commodity in your corner, if you sustain an injury, to help you determine fault, in cases like these, when another party needs to be held accountable for their actions. What Are You Really Owed After An Accident? Those who are involved in an accident often find that they're facing a long road to recovery - a road that involves much more than they realize. In fact, while it's easy to focus on things like your physical or mental healing, the reality is that your financial recovery will play just as big of a role. After being involved in an accident, one of the primary things that you'll need to focus on will be getting some kind of financial restitution for your injuries. But a common mistake that the injured make is to quickly accept the first offer that they're given by an insurance company. Settling makes sense, and when you're in need of money after an accident any kind of offer can seem like a good one. But that's not always the case. In fact, many insurance companies offer settlement amounts that are far lower than what the injured person is really, truly owed. Because of this, it's worth taking a closer look at the numerous things that add up to what a real settlement offer should be. When you're involved in an accident of any kind, it can throw your life into disarray and keep it there for what seems like an eternity. Recovering from injuries, getting your finances back on track, getting back to work, and dealing with insurance companies are all things that have to be dealt with. And in doing so, it can feel like the world is against you. One thing that is important to understand is often overlooked initially - time. Understanding timetables where personal injury law is concerned is incredibly important for making sure that you move through the recovery process properly and reach the best possible outcome to your case. 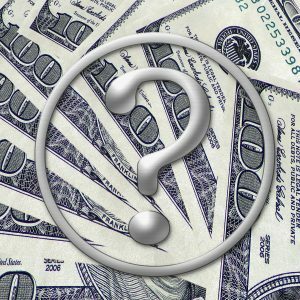 One of the first questions that those injured in an accident ask is 'how long will it take to get money for my injuries? ", and there's a good reason for that. When you're injured, it can put a major damper on your financial situation. Most people need the money that they lost due to missing work and will quickly start seeing medical bills pile up. In this modern world, social media is everywhere. It seems like people upload every facet of their lives to Facebook or Twitter, and the days when we all lived in some semblance of privacy are just a distant memory. Social media can make it easier to connect with others, talk to loved ones, plan out your days, and even play games or work. But it can also have a big impact on other aspects of life, including your personal injury lawsuit. If you've filed a personal injury claim, it's important to understand that social media can have a direct impact on your case and on your potential to receive the kind of compensation that you deserve. While plenty of people are well aware of the fact that people trying to use social media while driving could lead to an accident, what isn't always understood is that even after an accident, social media could still play a role in things. Throughout your daily activities, safety is always one of your primary concerns. 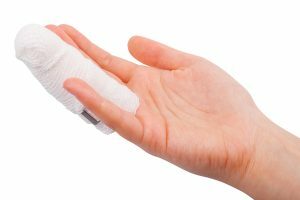 It should be an employer's concern as well, and a recent accident in Apollo Beach Florida has shed new attention on the subject of work related accidents. The Big Bend Power Station experienced a major accident when molten material surged from a tank and burned several workers, killing four of them. Only a month earlier, toxic chemicals were released at the same plant and caused more injuries. 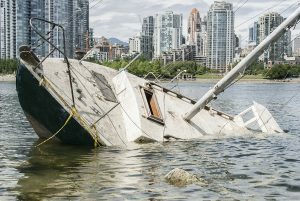 The US government has numerous protocols in place that are designed to help protect employees from these types of issues, and repeated accidents such as these could be a sign that additional safety issues could be present. 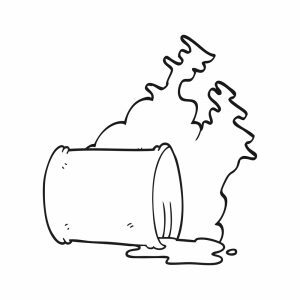 The accident in question occurred during routine maintenance when employees were attempting to unplug a tank that was filled with waste product only to have the waste spill from the tank and onto them. Mobile devices are everywhere. They've become such a common part of our lives that it's hard to imagine getting through the day without them. 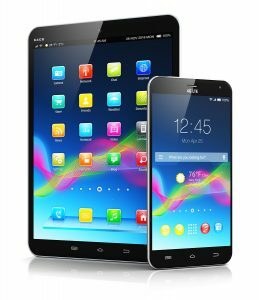 And when it comes to personal injuries or auto accidents, mobile devices are playing a bigger role than ever before - in numerous ways. Obviously, mobile devices have led to numerous accidents. Distracted driving is now said to be just as dangerous as drunk driving, and everyday accidents occur throughout Florida due to people looking at their phones or tablets instead of the road. 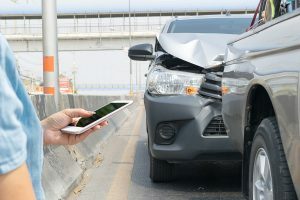 But while this is one way that mobile devices are impacting personal injury - by creating increased risks on the road - there are also other ways that they are having an influence as well. Taking a look at some of these ways is well worth doing. 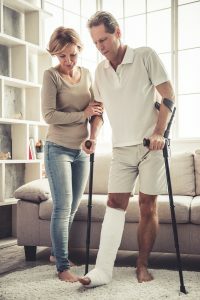 When you're injured in an accident of any kind, it will make your life much harder to move through until you fully recover. Physical injuries can make it impossible to go to work or enjoy your days, and the stress that can come with it will often weigh heavy on you. Add to this the major financial burden that a personal injury could cause, and the road to recovery will be a long one. That's why finding an attorney is so important. A good personal injury lawyer will be able to help you get the compensation that you deserve and make it easier for you to start moving on with your life after an accident. But just why is a personal injury lawyer so important? There are numerous differences that you'll experience when you have an accident attorney on your side. Being injured is something that can lead to a serious struggle in anyone's life. That's because not only do you end up having to recover from your injuries physically and mentally, but you're also left trying to figure out how to balance your finances as well. 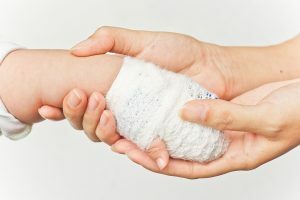 When you're seriously injured, you'll have major medical bills to pay as well as the potential for lost wages at work. Those lost wages can make it difficult to keep your current bills paid. In short, one accident can destroy your financial stability and bring huge amounts of undue stress onto your shoulders. Insurance is designed to alleviate those financial burdens, and for many, it will work - at least to some degree. 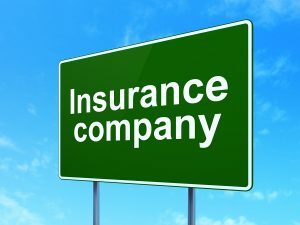 But there are numerous things that you might not realize regarding insurance companies. They could work with you, but often you'll find that an insurance company makes it harder than it should be to get the financial recovery you need.